My goal is to walk with women through personal transformation and deepened spiritual connection. I use over 30 years of experience as a therapist and education in psychology to guide the therapeutic process. Fierce listening is my guiding light, so expect to feel heard when working with me. I know the women I love to work with, but you have to choose to work with me. When we talk on the phone, or meet for our first session, I expect that we are both asessing if this is the right fit. There are thousands of therapists, all who have their own version of what the best therapy looks like. So here is a little Q & A to help you get to know my style. Q: What kind of therapist are you? A: I'm a psychodynamic-oriented therapist who uses the feminist perspective. Meaning I'm old-school and progressive, the best of both worlds. Q: How does that look in session? A: I will approach your life with curiosity and compassion, and through that lens together we will seek understanding and growth. I hold a very specific space to create the therapeutic relationship. The relationship facilitates your own self-discovery process. A: Oh, we will both be working. I work very hard. But we both have to be working to make progress. Q: So how long does this take? A: My clients typically gain insight on day one. Yet our capacity for going deep into the work is only as strong as our trust. And trust does take time to develop. Most of my clients see the benefits of our sessions increase overtime, meaning the longer we work together the more progress you make. Patricia Fero has been empowering women for over 30 years by holding space for deep thearputic work and spiritual growth. Patricia was born for these times. She is a passionate woman who has dedicated her life to igniting the collective feminine in planetary awakening. Her capacity for clearing her own internalized patriarchy and fierce listening are the magic she brings to every setting. The author of four books, Patricia has shared her wisdom through writing. Her first, Mining for Diamonds shows how people can use adversity to create resiliency. What happens When Women Wake Up? is a roadmap for clearing internalized patriarchy. 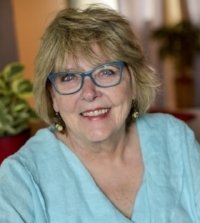 Patricia has grown an active psychotherapy practice in Ann Arbor, Michigan over the past 30 years. She is assisted by her black cocker spaniel, Dexter. Patricia is certified in a cutting edge advanced grief treatment, Induced After Death Communication (IADC) facilitator. Her fourth book, titled The Other Side of the Door, is a guidebook for connecting with loved ones who have crossed over. Patricia earned a Bachelor's of Science in Social Work from Eastern Michigan University, and a Master’s in Social Work from University of Michigan. She has led workshops and retreats for over 20 years based on her books, as well as other topics empowering women. She is available for speaking engagements, personal coaching, and advanced grief work. Lauren is a woman on fire, fearlessly living her passion as a spiritual revolutionary. She is currently the owner of Inspired Life Counseling in Ann Arbor, Michigan where she conducts one-on-one and couples counseling sessions, women’s circles, yoga and free form dance classes, and rights of passage ceremonies. She has a Masters degree in Spiritual Guidance from The Institute of Transpersonal Psychology and a B.A. in International Service with a concentration in Peace and Conflict Resolution and a Minor in Sociology from American University. As the former Senior Minister at the Interfaith Center for Spiritual Growth in Ann Arbor, Michigan, she gave powerful weekly sermons (available on YouTube) on a wide range of topics. She is currently an active volunteer and LGBTQ advocate with the Human Rights Campaign and serves on the Ann Arbor Police Task Force, working to address racial injustice in the policing system. Prior to moving to Ann Arbor, Lauren spent many years as an activist in low-income communities in Denver, Colorado working on issues of poverty, race, environmental justice, and healthy food access. She joined forces with numerous agencies and non-profits advocating for human rights and environmental sustainability. She also worked with youth in inner-city Denver promoting their empowerment and access to opportunities. Lauren has traveled to 20 countries, mostly in the developing world, studying movements of peace and social justice.